Growing-up in New York-just-over-the-border-from-New-Jersey, people talked longingly about “going to the shore.” That would be the Jersey Shore. Along that way, one passes New Brunswick, the state’s capitol, and most important to #girlpolitics, the home of the Center for American Women and Politics, part of the Eagleton Institute of Politics at Rutgers University. Founded by the gifted Ruth Mandel, director of Eagleton, now led by Debbie Walsh, the center is the center of the women and politics universe. 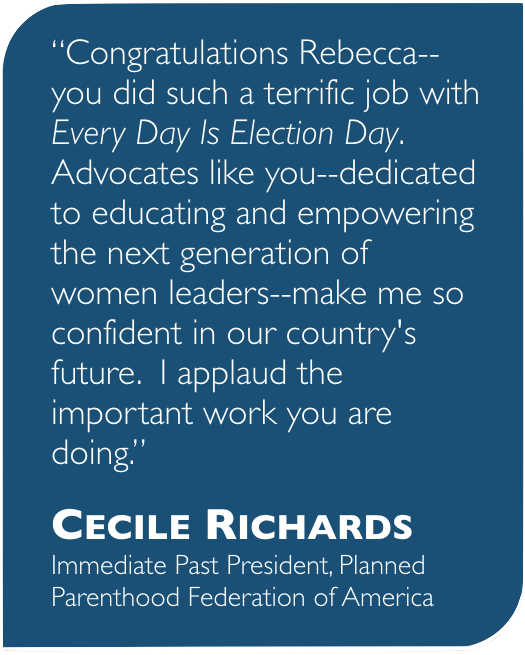 Beautifully, it researches, educates, trains and mobilizes women for public leadership, including recommending Every Day Is Election Day for the nightstand and book shelf of every woman and girl who seeks political power and influence. 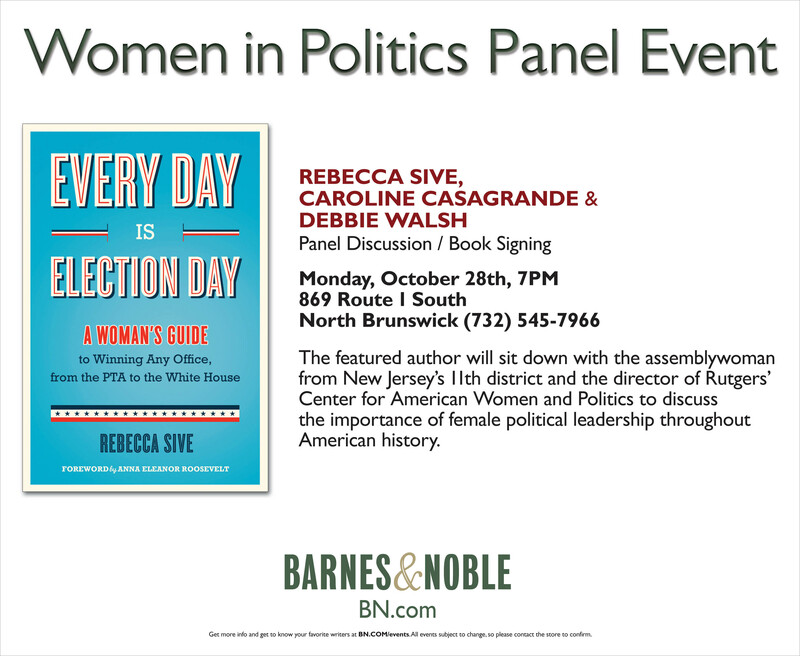 Debbie and I won’t have time to go to the shore Monday, but we will join Caroline Casagrande, who represents New Jersey near-the-shore and is featured in Every Day Is Election Day, at the Barnes & Noble in North Brunswick, to talk women’s leadership and political participation. Thanks to Dennis Wurst of national Barnes & Noble for wonderful book-tour support, and a shout-out to Miriam Libove, indefatigable B&N North Brunswick community relations manager. A story Miriam placed: “Activist, author urges women to lean in to politics,” offers-up a preview of the discussion we’ll have.